Martigues is a small town in the south of France about an hour by train from Marseille. It's known as 'The Venice of Provence' due to its canals, small islands, colourful houses and beautiful old churches with prominent spires. Its beauty has attracted numerous celebrated artists, particularly during the nineteenth century when a small colony of them settled in for a while to capture some of the beauty on canvas. 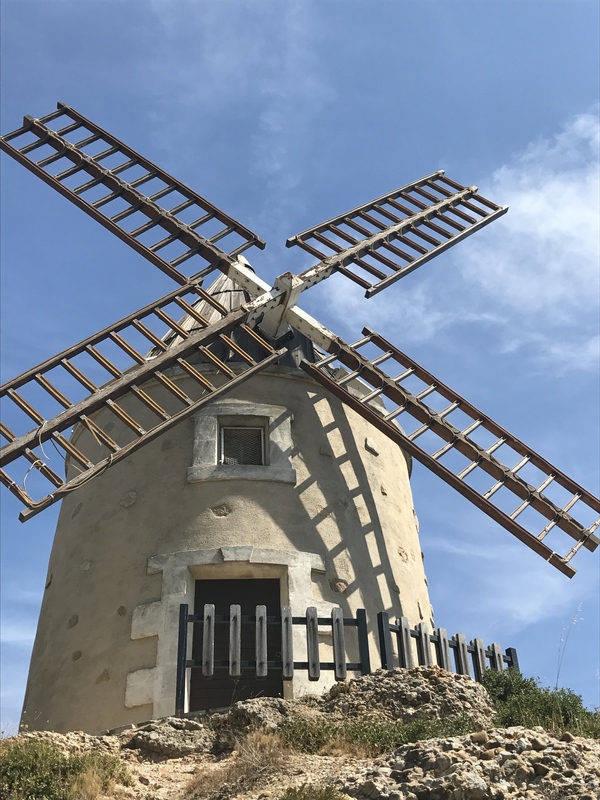 Here are a few ideas for you to consider if you plan to visit Martigues. The main waterway, Canal de Caronte links a lagoon, known as The Étang de Berre, to the Mediterranean. If you take a walk along the canal you'll see all manner boats, large and small, some used for leisure, others for industry. It's a good walk, with plenty to see. There are also bridges of all descriptions, from quaint foot bridges to a major drawbridge which is regularly raised to allow tall craft in and out of the lagoon. If you like a robust walk and appreciate a great view, head uphill towards the windmill. You can't miss seeing it on the skyline. It's quite a hike but once there the view over Martigues is worth the effort. A prominent industry in Martigues, both historically and currently, is fishing. Its importance is celebrated by a wonderful bronze sculpture known as Le pêcheur et la ramendeuse. It's prominently placed close to one of the canals so you won't miss it. You'll notice other art dotted around the cobblestone streets and small squares. 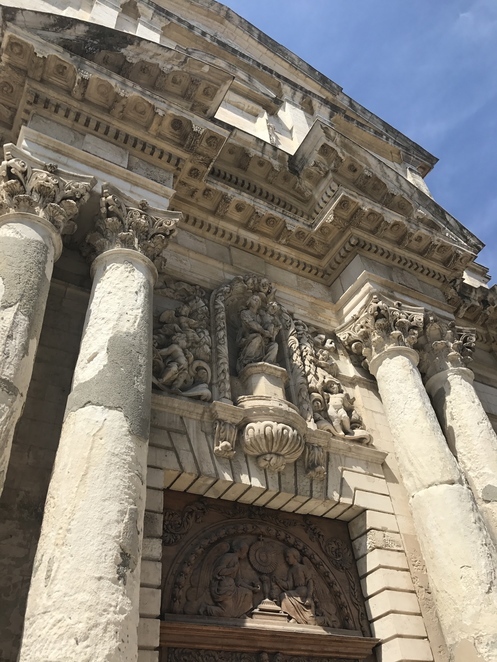 There's an eclectic mix of architecture both quaint and grand, including the very beautiful Eglise de Madeleine which dates back to the seventeenth century. A free shuttle boat makes regular trips of just thirteen minutes across the canal to a few points around the islands. It's a nice way to see the town from a different perspective. 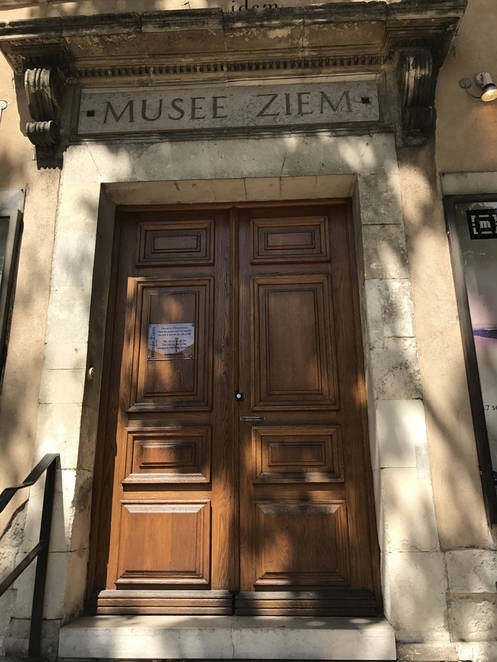 There's a wonderful museum/art gallery at Boulevard du 14 juillet called Musee Ziem. It's open every day except Tuesday and the times vary slightly from winter to summer so best to check the website for times before you go. The museum section is small and nautically inspired while the gallery aspect is far more comprehensive. Although numerous artists are represented the main focus is on namesake Félix Ziem who spent time in Martigues during the mid nineteenth century. Portague is salted mullet roe that is packed and left to cure for several weeks and can be enjoyed in thin slices, served with a twist of lemon juice and a glass of crisp white wine. It is a delicacy that has been consumed in the town since at least the 1700s. It is sausage shaped and coated in beeswax to preserve it. Les Perles De L'Etang are alcohol-soaked cherries, covered in almond paste then coated in chocolate. They are named after the nearby lagoo and although not as ancient nor traditional as Portague they are much prettier. You can find these chocolate gems at a small Patisserie at 5 cours du 4 septembre. There is no shortage of lunchtime restaurants in Martigues offering, among other dishes, some fantastic local seafood. Try Le Station or Les Terrasses, both next to the water and great for boat watching. After lunch, head to the sandy beach on the lagoon for a little lie down before a refreshing swim. Shops, museums and businesses close during the afternoon anyway so it's an ideal time to rest. If you find yourself in Martigues on an evening during the summer you'll be in for a seafood treat. Every evening, from 6pm until late, a food festival, known as 'Les Sardinades' takes place at The Place Des Aires, between the canal and the beach. The festival began years ago when an over-abundance of sardines, meant that the fishermen were subsidized by local council to throw them back into the sea. An idea was hatched to redirect the sardines onto dinner plates. 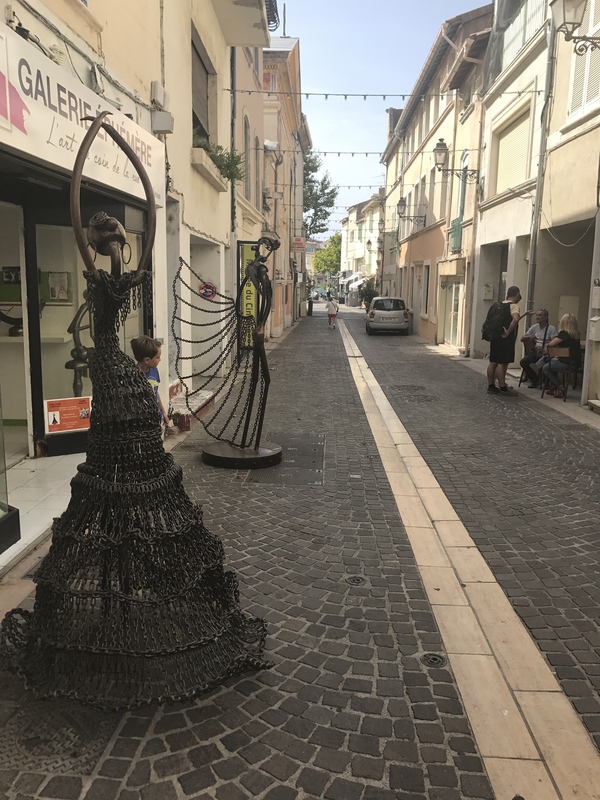 The people of Martigues buy delicious grilled sardines at bargain prices, the fishermen get paid and the council saves the funds previously used to subsidise the fishing industry, so everyone is happy. Except the sardines. As well as sardines, the festival offers mussels and other local seafood, desserts and local wine. And there's live music on Tuesdays and Thursdays. You won't see hordes of International tourists in Martigues as the town doesn't seem to have made it onto the tourist trail as yet. Another good reason for you to visit soon. we stayed with locals at Martigues - very special - their home was in the middle of a vineyard - and over the road was a local winery selling wine for locals bringing big plastic containers - at like $1 a litre or something - not bad at all - until our host plied me with his local firewater hootch - man did that burn my insides - one sleepness night ! Martigues looks so beautiful, I am definately adding it to my list!